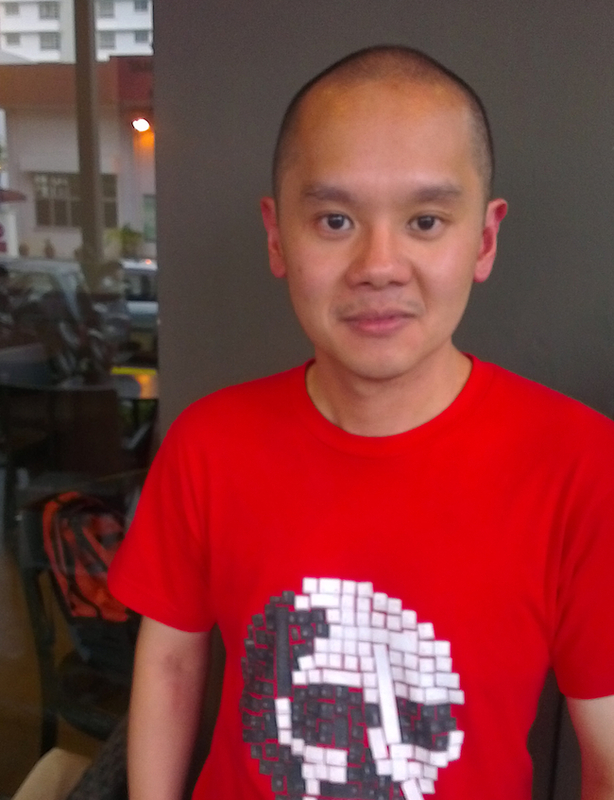 Shaun Lim is an entrepreneur who wants to get Malaysians ride sharing. What’s ride sharing? Basically it’s a cooler way of saying carpooling. 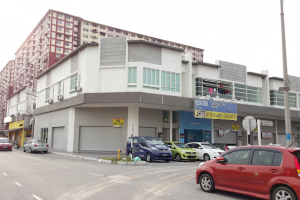 As anyone without a car knows, it’s tough to get around the Klang Valley if you don’t drive. If you do drive, that’s another issue – traffic jams plague us on a daily basis, and carpark fees stack up to a small fortune. Depending on the time of day, taxis can be hard to catch – usually when you’re standing in a heavy downpour. All these transport problems inspired Shaun to create Orbiting, a smartphone app. 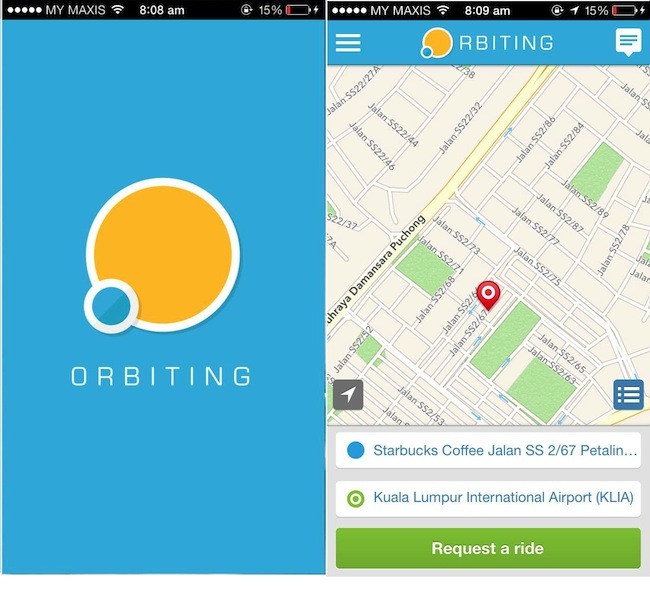 Orbiting allows drivers to offer rides to nearby people, and vice versa. It’s a way to connect people who have an empty seat in their car with those who are travelling in a similar direction. Shaun was an IT Consultant for 11 years before calling it quits to develop Orbiting. The inspiration for the app came during a holiday in Europe, when he was looking for an affordable place to stay. Shaun came across AirBnB, a website which allows people to rent their spare rooms or empty properties to short-term visitors. When he came back to Malaysia, he thought about how this could work with transport. Shaun Lim, creator of Orbiting. Photo: Mervyn Raj. So how does Orbiting work? Well, first users have to create an account with Facebook. You can then register as a driver or as a passenger. When you see someone in your vicinity, you can check if the driver or passenger is a Facebook friend. The app also uses something called “commonality scoring system”. It gathers information from Facebook that includes common interests and friends. “I decided to use Facebook for safety issues. Facebook practically represents a person’s online social identity. 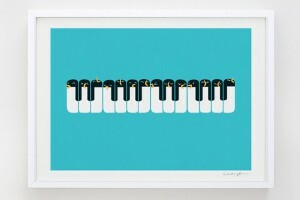 This way the app is a bit more difficult to abuse,” says Shaun. But there are other security measures: during registration, all users give their IC number. After a ride has been accepted, a picture of the car and registration number is sent to the passenger. Users can also rate other members after the ride is completed. “It’s a five star system. If the average rating of the person falls below three, that person may be suspended from the system. This is to maintain a certain quality between the community,” Shaun explains. Orbiting isn’t the first ride sharing app in the world, but the concept is a fairly new one. In the US, similar apps Sidecar, Lyft and Uber have taken off. However, they have had their fair share of troubles with the Taxi and Limousine Commission as these companies are seen as competition. Shaun isn’t worried about this happening in Malaysia: “We are not expecting people to function like taxis or anything”, he says, though he suggests that some passengers might offer to help share the cost of petrol with the driver. Orbiting is free to download and available on iOS and Android by invitation. You can register your interest by signing up at www.orbiting.com.my, or email [email protected] to request an invitation. Waze: an app to help you beat the traffic. 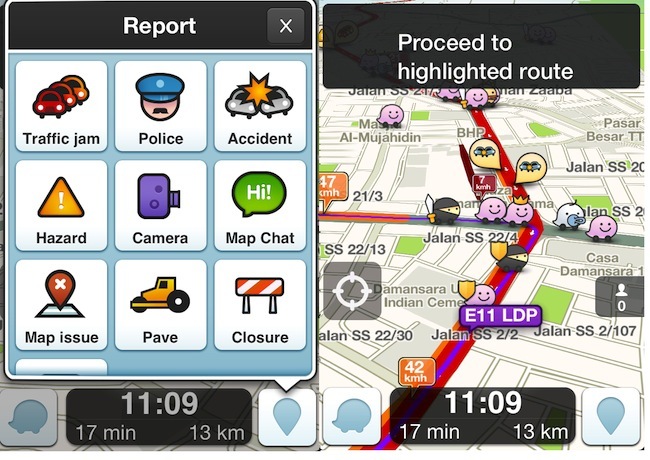 Waze is a community based traffic and navigation app. It’s incredible for drivers because it reports on upcoming police road blocks and accidents, all shared by other Waze users in real time. This means if a user is stuck in traffic and reports it, other users will be able to see the jam in the map. Waze will then find the fastest alternative route to your destination. Another plus: drivers can share their routes via GPS, so that friends can see exactly where they are in their journey. On the down side, the search function can be slow. Also, the user interface is not very attractive: although Google recently bought over Waze, it hasn’t yet integrated Google’s user-friendly interface or its maps. MyTeksi is a taxi-booking app in Malaysia. The app uses GPS to find the nearest taxis in the area (or the user can key in a particular location). You get to see the driver’s personal information like their name, car registration number and handphone number and a photo of the driver. The booking process is fairly straightforward. An estimated fee charge along with the driver’s distance to your destination will appear before the user can confirm the booking. It’s a smoother process than calling a taxi company and waiting for them to call you back. There is one problem with this app though. Since multiple bookings get sent out at the same time, taxi drivers tend to reply only when there is a mention of a significant tip. Which means, the higher the tip, the higher chances for users to get that taxi. KL Transport Planner is an app for those who take public transport. It incorporates the routes of the LRT, MyRapid buses, KTM and KLIA transit trains. Users can plan their route by keying in their location and where they are travelling towards. The app also provides a few options to get to the destination and it calculates the total fare for a single journey. The problem with this is that only certain locations are available in the dropdown list. Also, some street names and landmarks do not appear. There’s no timetable or estimated time of arrival. However, if you’re not familiar with KL’s public transport routes, it could be useful. #BetterCities will be hosting a talk on alternative and sustainable transportation in Greater Kuala Lumpur on Sunday 13 October 2013 (10am) at Genovasi, Lot 2A Jalan 13/2, Petaling Jaya.